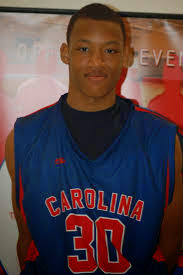 The fans have spoken and said Wendell Moore of the CP3 All Stars is the #1 8th Grade Player in the country. The top 4 vote getters on our poll were Wendell Moore with 374, Balsa Kopriva with 210, Tyger Campbell with 127 and Keion Brooks with 123. Basketball Spotlight would like congratulate Moore on winning the fan poll. Will he be #1 on our list? We will see when our Class of 2019 rankings are released in a few hours.